"a rocking’ joy through and through, an unexpected romp that’s as good to hear as it must have been to perform." "Ask Richard Young of the Grammy-winning southern rock band The Kentucky Headhunters about his memories of Johnnie Johnson, and you'll get a cocktail of emotions." "It’s a collection of rollicking, loose-limbed songs rooted in the blues and vintage-style rock ’n’ roll..."
"The release of Meet Me in Bluesland is akin to the surfacing of sunken treasure." "We're glad it's finally being released. Great sound." 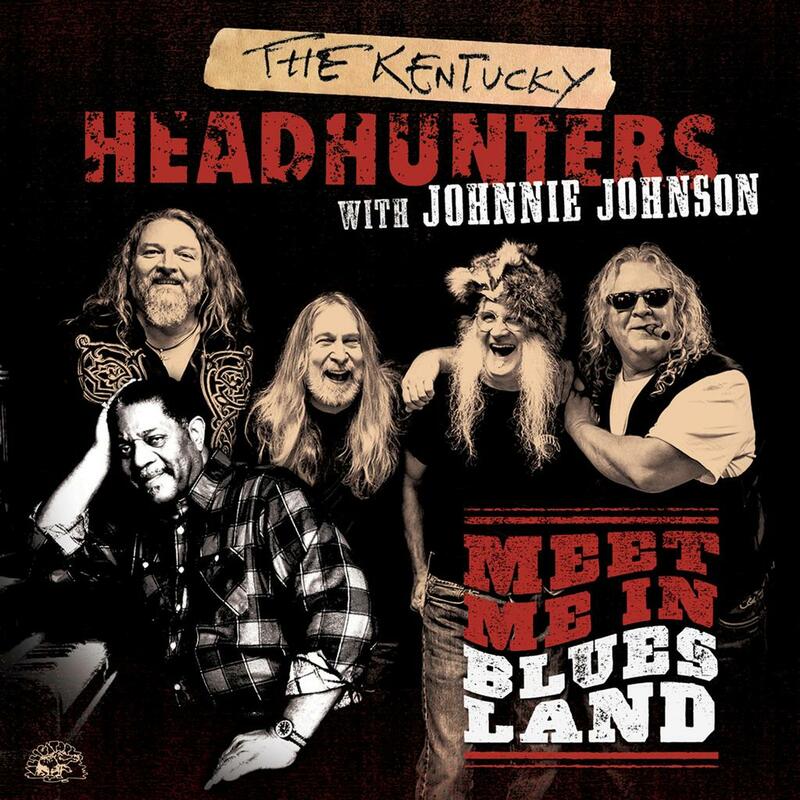 Alligator Records set a June 2 street date for Meet Me In Bluesland, a previously unreleased album by Grammy-winning Southern blues-rockers The Kentucky Headhunters with pianist Johnnie Johnson, a Rock and Roll Hall of Fame inductee. The performances found Johnson -- the man Rolling Stone called “the greatest sideman in rock and roll” for his groundbreaking piano work with Chuck Berry -- playing some of the deepest and most rocking blues piano of his legendary career. With The Kentucky Headhunters at their down-home best, the record is a country-fried, blues-infused party from start to finish. On January 25, 2003, Johnson joined his hosts, The Rolling Stones, for a rousing rendition of Honky Tonk Women at Houston, Texas’ Reliant Stadium. After hanging out all night with Keith Richards, Johnson got on a plane and flew to Kentucky. There he reunited with his good friends, brothers Richard and Fred Young, Greg Martin, Doug Phelps and Anthony Kenney, known worldwide as The Kentucky Headhunters. The plan was to have Johnnie lay down some piano for the band’s upcoming release, Soul. But the vibe was too strong and the music too good, so the tape just kept rolling. With songs and arrangements furiously being created on the spot and everything recorded live as it happened over the course of three days, a magical musical event was underway. Because the whole session was spontaneous, there were no immediate plans to release an album. After Johnnie’s death in 2005, the tapes, while never forgotten, remained unissued. With the release of Meet Me In Bluesland, these timeless and rollicking performances are available for the first time. The record grooves from the raunchy rock of Stumblin’ to the slide-fueled Superman Blues to the roof-raising version of Little Queenie to the rocking Party In Heaven to the salacious She’s Got To Have It (the last vocal Johnson ever recorded). 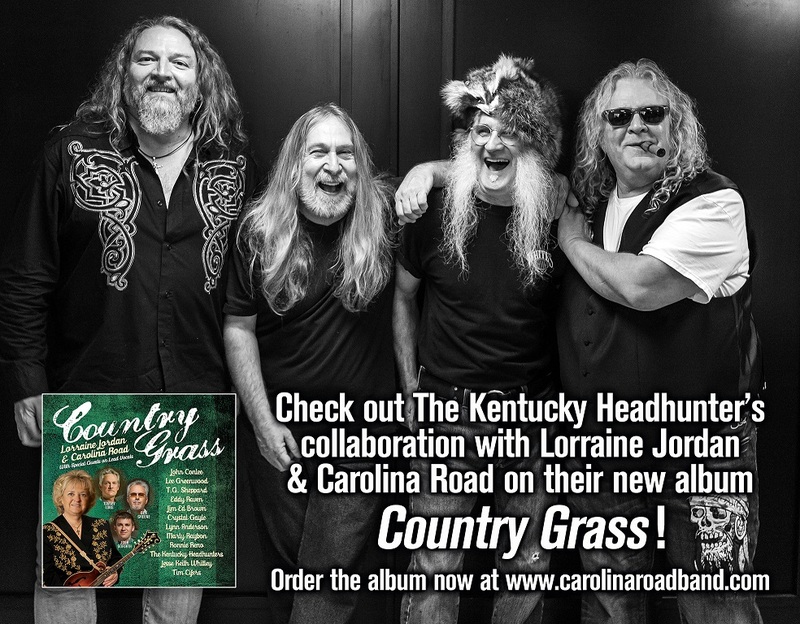 The relationship between Johnson and The Kentucky Headhunters dated back to 1992. Headed to New York for a Grammy Awards party, Greg picked up the new Johnnie Johnson CD, Johnnie B. Bad, for the ride. The band listened to nothing else all the way to New York. Having no idea he’d be at the party, they were shocked to see Johnnie Johnson sitting alone at a table. After some quick introductions, the musicians talked for hours, becoming fast friends. In 1993 they released their first collaboration, That’ll Work, on Nonesuch. 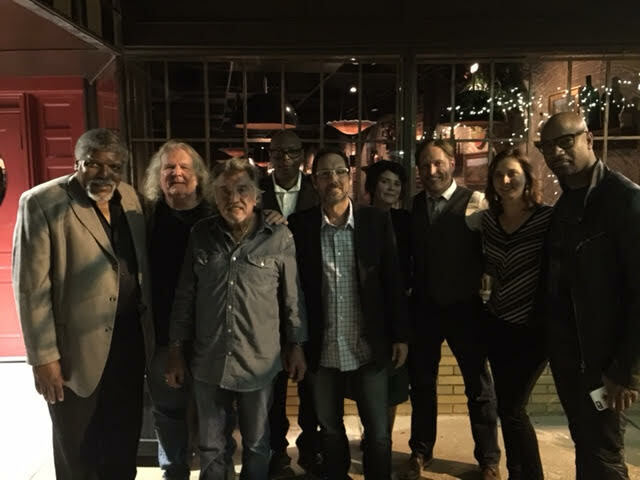 They took the show on the road, playing gigs from the West Coast to New England, from Chicago’s Buddy Guy’s Legends to New York City’s Lone Star Café. They performed at The Jamboree In The Hills in Belmont County, Ohio, where Johnson, with the Headhunters triumphantly jamming behind him, played to over 30,000 fans. 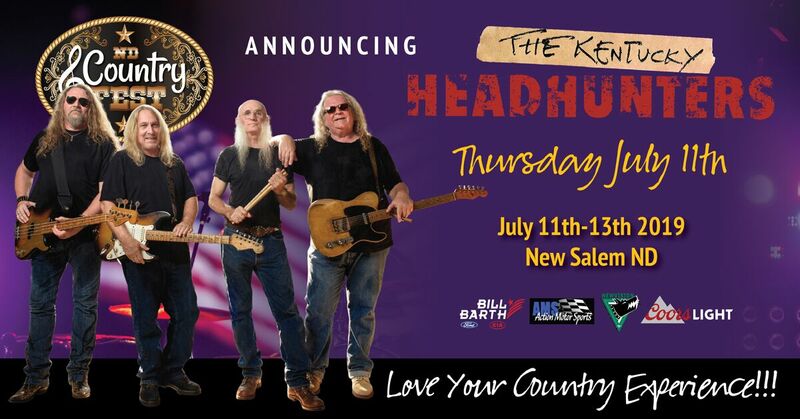 The Kentucky Headhunters, declared “the great American rock ‘n’ roll band” by Billboard magazine, began their professional journey in 1968 when brothers Fred and Richard Young and cousins Greg Martin and Anthony Kenney formed the Southern blues-rock band Itchy Brother. 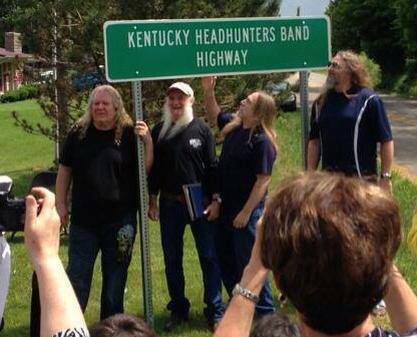 The band morphed into The Kentucky Headhunters in 1986. Their first album, 1989’s Pickin’ On Nashville, was released by Mercury Records and surprised the world, becoming a bona fide hit, selling over two million copies. The album won a Grammy Award, three Country Music Awards, an American Music Award and an Academy Of Country Music Award. It spawned four consecutive Top 40 Country hits. Currently, the band is made up of Richard Young, Fred Young, Greg Martin and Doug Phelps. Johnnie Johnson was born on July 8, 1924 in Fairmont, West Virginia. He began playing piano at age five and never stopped. While serving in the Marines, he joined The Barracudas, a Marines servicemen’s band. He moved to Detroit and then Chicago, eventually playing with Muddy Waters and Little Walter. He landed in St. Louis in 1952 where he formed The Sir John Trio, playing jazz, blues and pop standards. Chuck Berry, an ambitious local guitarist and songwriter, was added to the group the same year and eventually took over leadership of the band. After Berry scored a contract with Chess Records, the hits came fast and furious. Many, including Maybellene, Nadine, Carol and School Days, were fueled by Johnson’s two-fisted piano. He was the high-octane gasoline in Chuck Berry’s rock ‘n’ roll engine. When Chuck wasn’t touring, Johnson played with Albert King, and recorded a number of singles with him for the Bobbin label. Tired of the road, Johnson left Chuck’s band in 1973 and returned to St. Louis to become a bus driver. With the 1987 release of the Chuck Berry documentary, Hail! Hail! Rock ‘n’ Roll, Johnson found himself back in the spotlight, reintroduced to the world by his friend-to-be Keith Richards. 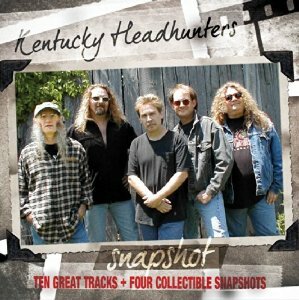 After three solo recordings, Johnson joined his musical cohorts The Kentucky Headhunters for 1993’s That’ll Work. In 1996 and 1997 he toured with Ratdog, the band fronted by The Grateful Dead’s Bob Weir. Johnson was inducted into the Rock and Roll Hall of Fame in 2001 and continued to perform and record until his death in 2005. His 2003 sessions with The Kentucky Headhunters, released now for the very first time as Meet Me In Bluesland, are some of the most spirited and organic recordings of his remarkable and still influential career. FYI, Greg didn't cut his hair, the band NEVER broke up, this is an old photo from years around 2003. FRANKFORT, KY (May 22, 2013) Kentucky State Representative Bart Rowland, R-Tompkinsville, and his wife, Jerri, joined the Kentucky Headhunters for a ceremony held May 22 in Wisdom, Kentucky to officially name Kentucky highway 640 in Metcalfe County, as the "Kentucky Headhunters Band Highway." 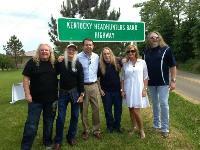 Rep. Rowland sponsored a resolution naming the roadway after the band, which was named Vocal Group of the Year by the Country Music Association in 1990 and 1991. Posted: Friday, March 23, 2012 10:43 am | Updated: 11:11 am, Fri Mar 23, 2012. 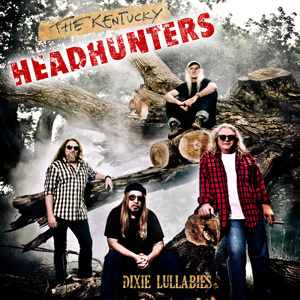 About The Kentucky Headhunters: The Kentucky Headhunters are an American country rock band. The band has released seven studio albums, two compilations, and twenty singles, of which the highest-peaking is a cover of the Don Gibson song, “Oh Lonesome Me,” which the band took to #8 in 1990. The single was recorded on the band’s debut album Pickin’ On Nashville, which produced four consecutive Top 40 country singles including "Walk Softly on this Heart of Mine," "Dumas Walker," and "Rock 'n' Roll Angel” in addition to “Oh Lonesome Me.” The album also earned the band a GRAMMY Award for “Best Country Performance by a Duo or Group with Vocal,” “Best New Vocal Group” award from the Academy of Country Music (ACM), and “Album of the Year” and “Vocal Group of the Year” awards from the Country Music Association (CMA). In addition, it earned a,” double-platinum certification from the Recording Industry Association of America (RIAA) for shipping two million copies in the United States. Posted: Tuesday, March 24, 2009 12:00 am | Updated: 10:58 am, Fri Mar 23, 2012. Note: This series of articles is designed to remember and celebrate all the wonderful bands that have played in the Southern Kentucky region and become a part of its musical history and legacy. We are beginning our series with the band Itchy Brother as remembered by local musicians James Harrison and Greg Martin. Where did you get the name Itchy Brother? James: A cartoon! Actually Fred Young came up with it. Itchy Brother Rat from King Leonardo and friends. Greg: After a series of band names, Richard, Fred, Anthony and I settled on Itchy Brother in 1973. The Itchy Brother name came from the 60's Saturday morning cartoon show, King Leonardo & Friends. Itchy Brother was King Leonardo's incompetent evil brother. Itchy Brother, and partner in crime Biggie Rat, were always trying overthrow the King and wreck havoc on Bongo Congo. How and when did the band begin? How long did Itchy Brother perform? James: Greg Martin was the first guitarist for them….he left to join a band the local drummer (Bill Judd) had started in Louisville. Richard Young asked me to play around '73. I left in '75-'76. They continued on till the early '80's as Itchy Brother and Throughbred, then on to the Headhunters. Anthony Kenny went from bass to lead…. (A helluva guitarist) The rest is history. Greg: Richard, Fred, and Anthony started playing together as The Truce in 1968. They were first cousins, and since their parents were musical, it was only natural for them to get together and play. Of course The Beatles and the British invasion turned our heads in the early 60's, whetted our appetites to play in a band. I met Richard in the Fall of 1968 through my cousin Larry Sullivan. I was freshman, Richard was in the 8th Grade. Initially Richard and I met at the Edmonton grade school cafeteria kitchen and jammed, then played "Sunshine of Your Love", "Hey Jude" & "Born To Be Wild" at a 4th Talent Contest in the Fall of 1968. We hit off so well, shortly after, Richard, Anthony and I started jamming and playing out as the Truce. We did our first gig together at the 1968 Toys For Tots show in Glasgow, KY. We went through several names, The Truce, Aftermath, Mandrake Velvet, Mainliner, then settled on Itchy Brother in 1973. In 1971 we appeared on Young Country, a weekly television show out of Nashville on Ch. 4 produced by Bob Cox. We also recorded a single in 1973, "Rock N' Roller" & "Shotgun Effie." Off and on, Itchy Brother went from 1968-1989.
Who were the members and who played what instrument? James: At that time, Anthony Kenny on bass, Fred Young on drums, Richard Young, guitars, and me on lead and slide guitar. Greg: Except for a brief period with Steve Perkins on bass guitar in 1968, I always played with Richard, Fred and Anthony. There were many lineups of Itchy Brother after I left in 1973, I can't even remember all the members. What kind of music did you play? Can you name a few songs? James: Great question! Well. we liked to take old, obscure blues tunes and play 'em "our way" through old tube amps….Marshalls, Fenders, whatever we had. I can remember the first song we ever worked up! "High Heel Sneakers", some old Johnny Winter (Richard had the voice for that) some Kiss, Montrose, Deep Purple, etc. covers. Greg: When I joined in 1968, we were playing everything from The Beatles, Steppenwolf, Cream, Jimi Hendrix, Crow, and Led Zeppelin to old rock n' roll & blues. Even as kids, we took to blues like ducks to water. There's a very cool tune from 1978 called "Paradise" that we recorded at the Practice House on a stereo cassette recorder (with two mics hanging from the ceiling). When I hear it today, I'm amazed at the intensity and depth we played blues. Did you write your own material? James: Oh yeah! Richard Young is the lyric machine, the "wordsmith". Give him anything to write about and he can do it. Anthony was good too….Fred and I musta missed that train. Greg: Yes, early on we started jamming and writing our own stuff. by the late 70's, 75% of the Itchy Brother repertoire was original. Even when we did someone else's song, we'd put our own stamp on it. Richard and Anthony are very talented writers. Fred and I contributed musically, but they were the main writers. in retrospect, Itchy Brother was a true collaboration, and it worked. What sorts of gigs did Itchy Brother typically play? Clubs? H.S. Dances? Festivals? James: About all of them….in some of the counties, they'd have a basketball homecoming….we'd try to get those too. Most time, we would rent out the gym in the National Guard Armory…..and have what they call "concerts" 2 bucks apiece to get in or 5 bucks a couple (what a bargain!). Greg: Early on, we played high school dances, Fall festivals, school functions, talent shows, birthday parties, any place someone would let us play! In the 70's we played clubs, concerts, the normal thing. 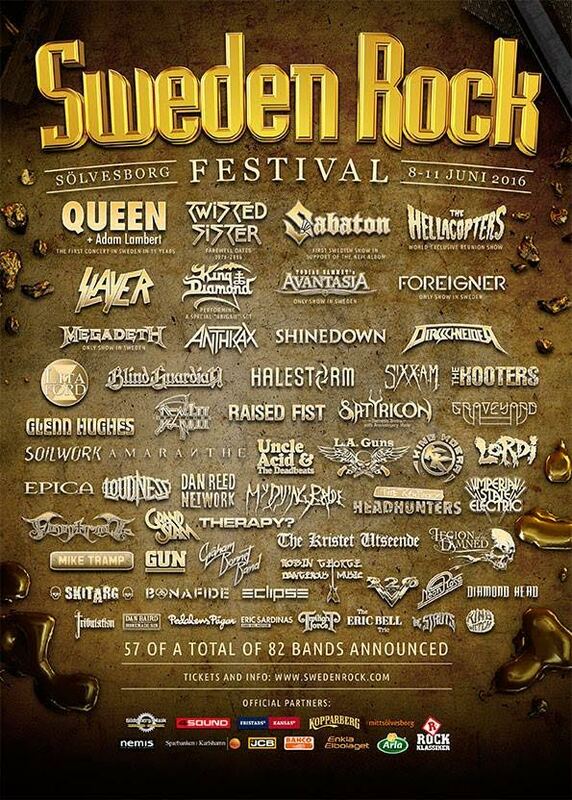 Can you tell us about one particularly interesting gig? In 1968 I played my first gig with Anthony Kenney, Richard and Fred Young as The Truce (a predecessor to Itchy Brother). We played the annual Toys For Tots show hosted by local heroes, Us Inc. The Glasgow National Guard Armory that night could just as well been the Fillmore East in San Francisco or Madison Square garden in NYC, it's a gig none of us will ever forget. That night watching Us Inc., The Cherry Pops, Jim & Mary Buchanan, The New Tymes and others was influential in the path we would all take later in life. It was a night filled with the sound of Fuzztones, psychedelic lights, and the smell of incense. Details are a little hazy now, but there is a feeling that has never subsided deep within us. Ah, those psychedelic dreams…..
Another funny gig was at the Summer Shade Gym in Summershade, KY. around 1970. We were told to stop playing because we were playing too loud and disrupting visitors at the Funeral Home, just over the hill. Did you go on tour? Greg: In the 70's Itchy Brother played dates in Kentucky, Illinois, Indiana, Georgia, and Alabama, mostly clubs on the rock n' roll circuit. Did you ever make a record? James: Before I came along, they had did a single…. 45rpm "Shotgun Effie" and "Rockin Roller"
Greg: Yes, in 1973 we cut a 45 single, "Rockin' Roller" & "Shotgun Effie." Greg: After I graduated in 1972, my father moved my family to Louisville. I had every intention of staying with Richard, Fred & Anthony, but logistics prevented it. After the single was released in 1973, my job at Fawcett Printing Company put a stop to me playing music for a brief period. James Harrison took my place, then I returned in 1977. The band continued on till around 1989, never really broke up, circumstances, fate and responsibilities just put it on hold. What do you think folks remember about Itchy Brother? Greg: Those were wonderful times, it's when I found my musical voice and calling in life. (Excerpt)..."With a record fixing to come out in October called Dixie Lullabyes, the four-piece of brothers Richard and Fred Young on electric guitar/vocals and drums, Doug Phelps on vocals and bass and Greg Martin, who remains an exacting lead guitarist decamped at 3rd & Lindsley to open the expanded and renovated club, tease their new record and play for the assembled music merchandisers in town for the Summer NAMM show." Read the whole article here about the Grand Opening Show at the New 3rd and Lindsley Venue in Nashville. Written by Holly Gleason for NoDepression.com .